Apples proprietary Retina display has started to look “not so unique” after the inception of the Samsung’s top of the line Nexus 10 tablet. That’s simply because Nexus 10 has got more Dots/Pixels per Inch than the so called Retina display of Apple. Now, another OEM is coming up with a tablet that has the same kind of high resolution display. The tablet under question is Archos 97 Titanium HD and it’s the latest addition to the company’s well received “Elements” series tablets. The obvious selling point of this device is going to be the brilliant display. The screen of Archos 97 Titanium HD has got the same amount of DPI/PPI as Apples Retina display on the latest iPad. But these types of displays consume more processing power which can ultimately cause low battery life. It has got similar CPU and GPU like the well known Samsung Galaxy Note phablet, but don’t expect same kind of performance as the processor will have to deal with millions more pixels here. Although the availability is unknown, the price is somewhat guessable. According to the market insiders, the Archos 97 Titanium HD will be strategically priced at around $300-$350. So, now you won’t have to dig deep into your pocket to add a Retina display toting device in your Christmas wishlist. Archos always comes up with these types of unique gadgets. Last time Archos brought the Android GamePad into the market to get the eye balls rolling. Now, with Archos 97 Titanium HD, Archos is ready to one up its competitors again. 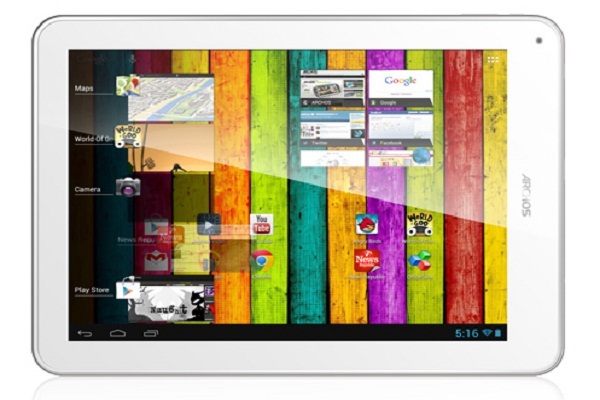 So, what’s your take on Archos 97 Titanium HD Android tablet? Don’t you think premium devices like Apple iPad and Nexus 10 are losing their appeal to masses as comparatively less known companies are providing us with almost same features at lower prices? Don’t stop yourself and jot down your comments below.